The Philippine Drug Enforcement Agency (PDEA) has provided a list indicating the possible presence of a clandestine laboratory used in the manufacture of illegal drugs in an area. The following tell-tale signs of the presence of a shabu lab in your neighborhood were listed in a Philippine Information Agency article. 17. frequent visitors with expensive cars. 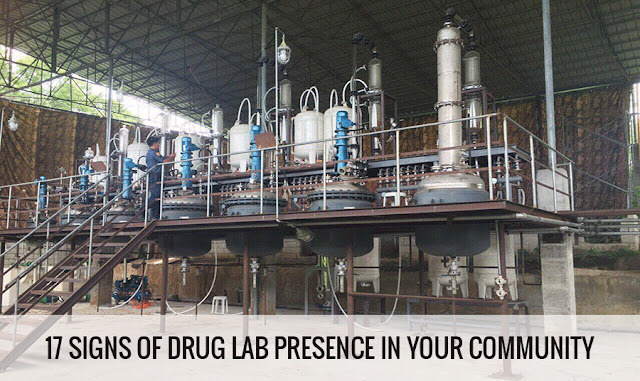 PDEA encourages the citizenry to report suspected illegal drug activities and presence of a clandestine laboratory in their community by texting PDEA 24/7 SMS/Text Center’s numbers: For SMART subscribers, 09998887332. Globe and Sun Cellular subscribers may use the number 09279150616 and 09255737332, respectively, or by calling mobile number 09393960627 and landline numbers (02) 920-0735 and (02) 920-0736.